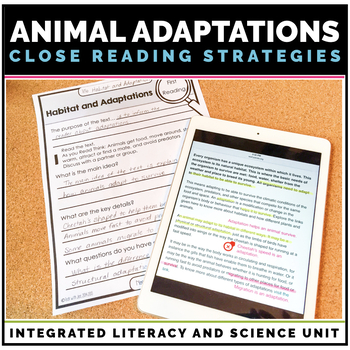 Your students will love this integrated science and literacy unit in which they use close reading strategies to learn about animal adaptations. 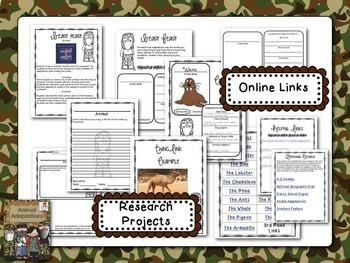 Students will learn how adaptations are essential for the survival of all living things through the reading of literature, poetry, nonfiction texts, and online articles. How to build background before a unit. 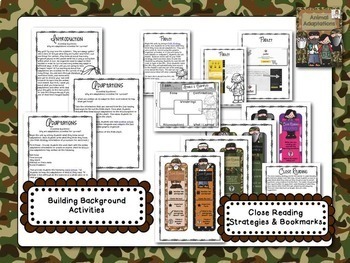 Close reading strategies and ideas for teaching along with bookmarks. 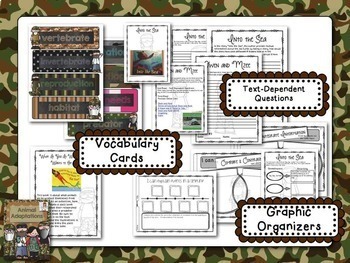 Graphic organizers for analyzing texts and comparing information. Writing prompt paper with text dependent questions.